Although I love garlic, I have never eaten or made a garlic soup that I really liked. It always seemed to lack body and be a bit on the watery side, even the Garlic Soup from Mastering the Art of French Cooking. The garlic scapes are in urgent need of cutting so I decided to tinker with a simple and easy formula that uses lots of scapes and thickens the soup by adding a potato. For this recipe it does not matter that some of the scapes are already turning fibrous, as they are only used to infuse the broth and discarded afterwards. 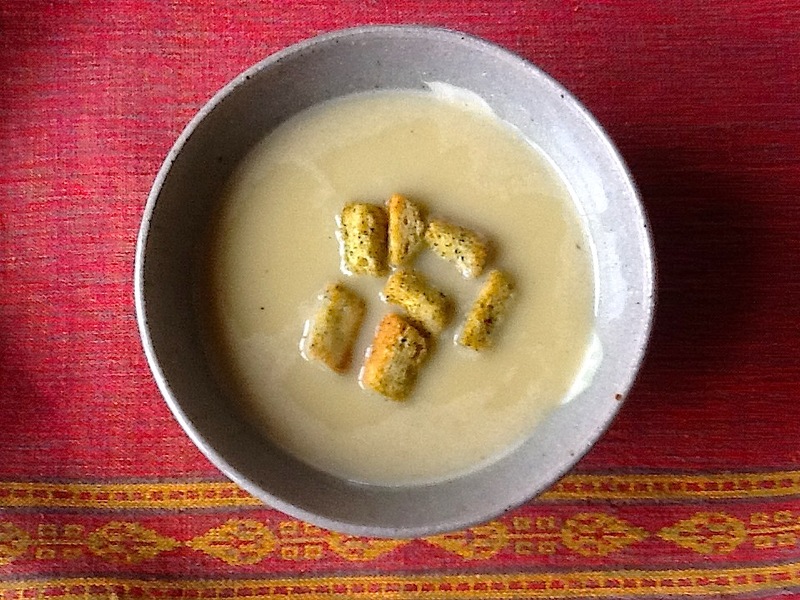 I must admit I was too deliberate with the cayenne pepper so the soup was slightly hot but otherwise I will make it again just like this – as long as there are still scapes to be cut in the garden. 1. 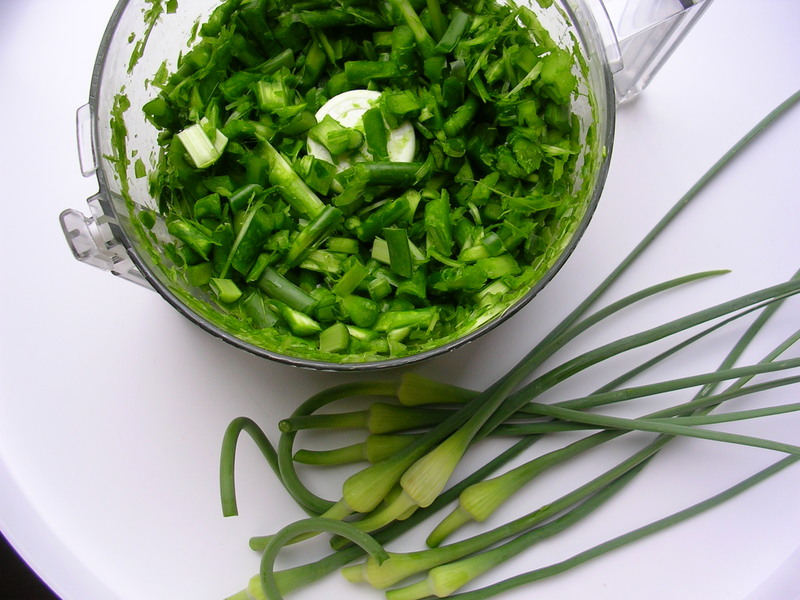 Cut the scapes into 2-inch chunks and chop coarsely in the food processor. 2. Put chopped scapes in a large saucepan with 2 cups of the chicken broth and the thyme. Bring to a boil, then cover and simmer for 10 minutes. 3. Strain through a fine sieve, reserving the broth. Discard the solids. 4. Pour the broth back in the pan and add the potato and the remaining stock. Bring to a boil, cover, and cook until the potato is soft, 10 to 12 minutes. 5. Puree to a very smooth consistency. Add the cream and reheat. Season with salt, pepper, cayenne, and a dash of white wine vinegar. Serve with croutons. Perfect for a quick lunch or as a starter for dinner… sounds yummiiii!